Hi all! Was your Memorial Day weekend a good one? Related to Danielle’s and Kimberly’s posts, I wanted to mention that while their two books are officially not released until September, you can in fact buy the paperbacks now. So the links I included for pre-order on their pages are actually viable purchase links. I’m told this is how Dark Quest Books operates, and that soft-launching books is helpful for accommodating reviewers. And on a related note, I’ve got some more Boosting the Signal posts coming over the next few weeks. 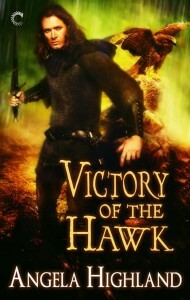 However, they’re going to get rather more spotty through June and July, because I seriously need to be in focused deadline mode for Victory of the Hawk. I will continue to post pieces as I get them, but they won’t be as common for a while. Your patience in advance is appreciated! Meanwhile, in the name of giving a bit of outside-of-Boosting-the-Signal signal-boosting to some of my Carina peeps, I’d like to call the following things to your all’s attention! One! Jeffe Kennedy, one of my fellow posters at Here Be Magic, is dropping her first fantasy novel this week! She’s been marketed more in the past as fantasy romance, but this is the first of her books getting designated as straight-up fantasy. Speaking as someone who likes having her fantasy with a side serving of romance, I expect to be checking out The Mark of the Tala. Jeffe’s got a post up at Here Be Magic about her favorite fantasy tropes, too, if you want to go check that out. Two! My fellow Carina author Kari Edgren turns out to ALSO be a fellow Pacific Northwest author. And her new Carina release Goddess Born turns out to be HIGHLY relevant to my interests–not only because it’s invoking Brigid from Celtic mythology, it’s also got a heroine who’s a healer. And y’all know how much I like me some healers. I’ll be buying this one, too. And, another post of mine from over the weekend that you may have missed: Amazon has been throwing its weight around again. I link off to some other posts about it, too.